Accounting services like tax planning, bookkeeping, payroll, and others can steal most of your productive time. Instead of letting you use your time to build your business, these activities keep you busy recording receipts, expenses, employee data, and more. But, of course, it is not possible to hire independent resources to handle each of these jobs. Here’s where a professional accounting service firm can help. Let’s look at five of the top benefits your business gets when you hire an accounting service provider. Tax planning is an exhaustive process that needs a sound financial plan, knowledge of stocks, dividends, interest, bonds, capital gains, mutual funds, investments, life insurance, and more. On top of all the information, you also need to be updated on the latest tax norms that apply to your company. In fact, even if you work out what taxes you need to pay and how and when, you’re still far from done because filing returns and paying taxes is the easy part. The real challenge lies in optimizing your tax liabilities, so they benefit your company. Effective tax saving planning helps you save more and can go a long way in helping you achieve your financial objectives. To get taxes to work for you in supporting your company’s financial goals, you need some expert consulting. And because tax laws differ from state to state, it’s best to hire local help. 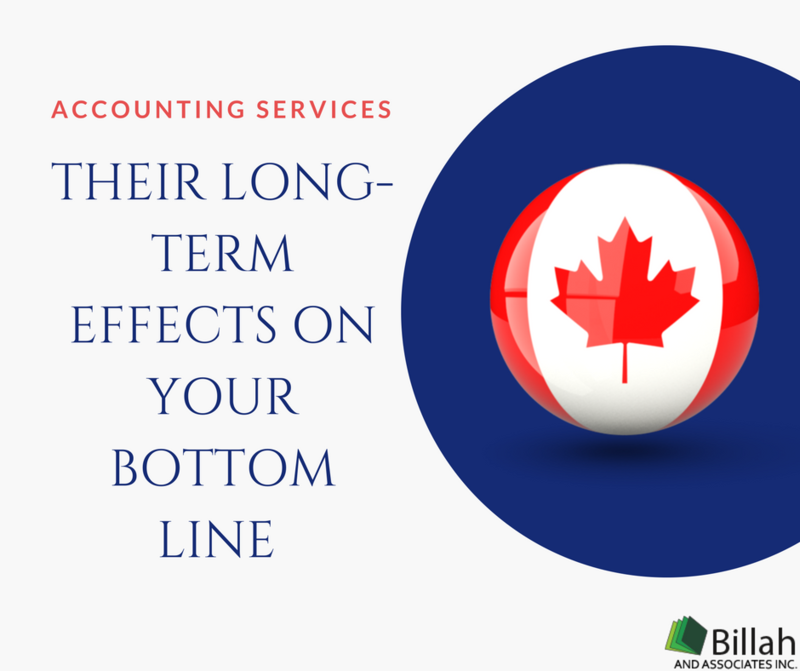 For example, if you hire a local Accounting Services from Mississauga, you’ll get the best in-depth analysis of your existing tax strategies and a comprehensive plan that suits your business and helps you decrease your tax liabilities in the Mississauga jurisdiction. At the face of it, payroll processing looks simple. After all, it just involves keeping a record of all the employees and their details such as their salaries, overtime hours, deductions, bonuses, holiday pay, taxes, etc. But payrolling doesn’t just involve keeping records. Keeping all the employee data updated is one thing, ensuring full compliance of this data with the legislations that apply is another. Ensuring compliance takes a lot of time, documentation, and expertise. An error or irregularity in the payroll data can result in a fine and adversely impact your company’s net income. Hiring independent staff is not the best solution always because maintaining separate resources can require a lot of investment. Outsourcing is the answer here. Professional corporate tax services can streamline your payroll process, manage payroll taxes, and make sure that all the compliance needs are met, and taxes are paid consistently. Bookkeeping services include a wide range of activities such as preparing a chart of accounts, updating information in accounting journals/accounting software and verifying bookkeeping policies and procedures and more. You can probably train your staff on how to use a bookkeeping software, but as you can tell, they might still not be ready to handle the accounting regulations that apply to your industry. An expert bookkeeping service organizes your income, expenditure, taxes, receipts, financial statements, balance subsidiaries, and post debits and credits in a shorter turnaround time and in a more cost-effective way. Thus, freeing up all your time so you can focus on building your business. When you hire an accounting consultancy, they’ll be able to match your business with a specialized bookkeeping consultant who has experience managing bookkeeping for your business type and size and your industry. Recovering debts is something every business struggles with at some time. But pursuing recovery of debts needs special handling. It’s unlikely that you or someone from your team could go about collecting debts as the process isn’t so straightforward and needs litigation knowledge as well. Besides, debt collection is subject to regulations that vary from jurisdiction to jurisdiction, thereby making it even more difficult to handle. In our country, debt collection is regulated by the Collection Agencies Act that details the time and frequency of calls, mailing and telephonic correspondence, and limitation periods (of 2-6 years) depending on provinces. Hiring a local and licensed accounting agency that understands the state and federal laws and regulations about debt recovery is your best bet here. Accurate cash forecasting management helps companies avoid potential liquidity crisis in business. But traditional cash forecasting methods like using a spreadsheet that shows all the incoming cash and the expenses over a certain period are outdated now. Today’s complex business processes need more understanding and data to forecast accurately. Accounting firms often offer the cash forecasting service that accurately predicts and plans the funding needs of your company, prepares cash flow budgets, and monitors your current cash flows against budgeted cash flows so that the company doesn’t fall short of funds and runs smoothly. Whether it’s by saving you the headache of tax planning or hours of bookkeeping and payroll management, a professional accounting service lets you focus on your core business functions. If you’re looking for local Accounting Services in Mississauga, get in touch.